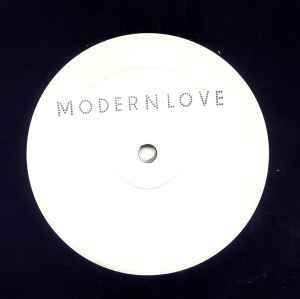 White label with generic Modern Love logo; no artist or track information given on the actual record. After the 2007 Ddeepchord presents Echospace release, Modern Love drop another limited, single sided 12, this time courtesy of David Moufang, aka Move D. This profound and elaborate 12 min track is founded around a morhping, pulsating drone and than matures into a savvy and well organized suite, thanks in large to some competently negotiated percussion. An absolute clinic.